The vault at Centennial City Bank is currently rumored to be holding a record amount of cash, precious diamonds, ancient artifacts, and highly-sensitive digital information. As the boss of one of the city's most notorious crime organizations, robbing that vault for all it's worth is constantly on your mind. There's only one problem - this job is too big for just your crew alone. You're going to need help from some of your biggest rival crime bosses if you want to succeed. You'll need to join forces on a series of smaller jobs in order to acquire the skills and resources you'll need to pull off the biggest heist the city has ever seen - but watch your back! Once you and your new partners in crime are inside the bank vault, it'll be every boss for himself. If you manage to safely escape the scene with more loot than your rivals, you'll be revered as the city's most notorious crime boss. Hire your crew, plan the heist, and get ready for the big score! 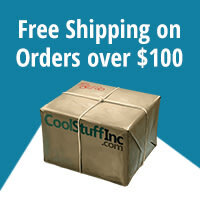 The Big Score is a competitive game for 1-6 players that plays in 30-60 minutes. The game is structured into two distinct halves. In the first half of the game, players use card drafting to carefully choose which specialists to add to their crew. They secretly decide how to assign them to various small heists throughout the city, and they need to pick just the right moment to send in their most skilled expert to ensure a job's success! If these plans go well, players steal a variety of loot: cold hard cash, diamonds that escalate in value as more are gained, artifacts that are profitable for the player with the largest collection, and hard drives full of information that become lucrative only if hacked with a digital key. 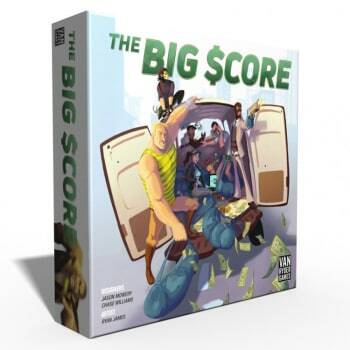 In the second half of the game, individual player abilities come into play as the players attempt the mother of all heists: the big score. Players risk being busted by the cops as they steal even more loot in an exciting, press-your-luck grand finale inside the vault at Centennial City Bank! The Big Score also features a challenging solo-play mode designed by A.J. Porfirio (Hostage Negotiator).